I am behind, I know. I wrote half this post last week, and just got around to finishing it, but here goes! 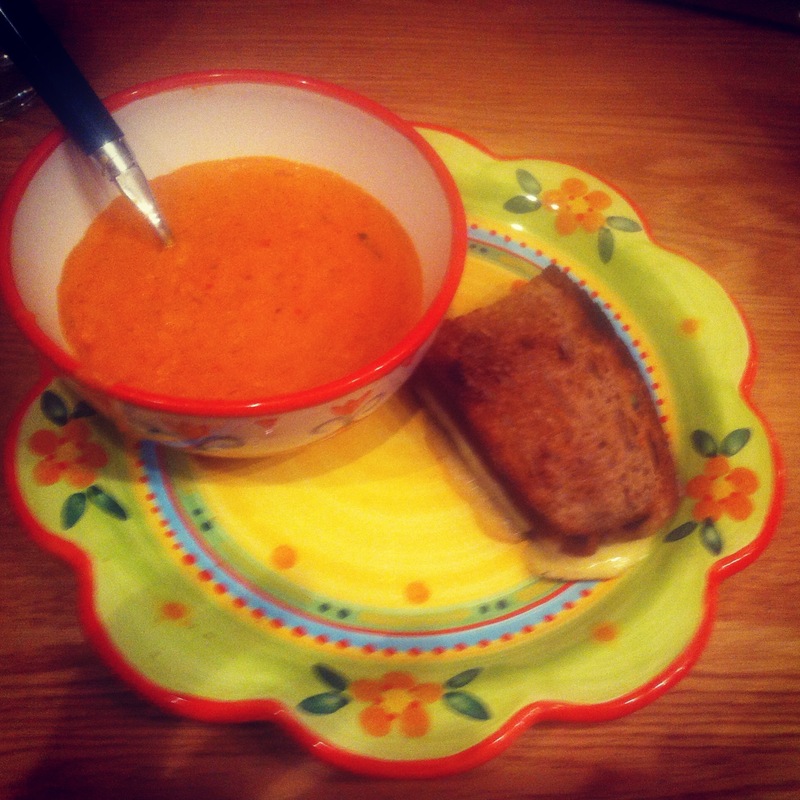 Last week for dinner, I made tomato soup and grilled cheese. Initially I was going to just have a bowl of cereal, but I was inspired by my thanksgiving shopping trip as well as a loss of what to say in our blog about my cereal dinner (I’m sure that post will come soon). I knew I had canned tomatoes (a good thing to always have on stock), buillon, and pretty much all the other ingrediants, plus it’s super easy and something you can save for the rest of the week. Puree mixture using handblender, and then add in ½ cup cream, 2 TBSP brandy or sherry, salt and cayenne. I also added strips of basil bc I had some leftover. You spelt “flour” like the plant….